ProMMAnow.com talks with American Top Team welterweight Ryan “The Tank Engine” Thomas following his win over UFC vet Coey Hill at XFC 21 in Nashville. “XFC 21: Night of Champions 2” takes place this evening at Municipal Auditorium in downtown Nashville, Tenn. The event is headlined with a lightweight title bout between “Notorious” Nick Newell and Eric “It’s a Wrap” Reynolds. XFC 21, which is scheduled for December 7 in Nashville, Tenn. has added a co-main event bout between UFC vet Corey Hill and Ryan Thomas. Fight week is always stressful for a promotion with so much to do going into a big event. It is a rare occasion that things go perfectly. 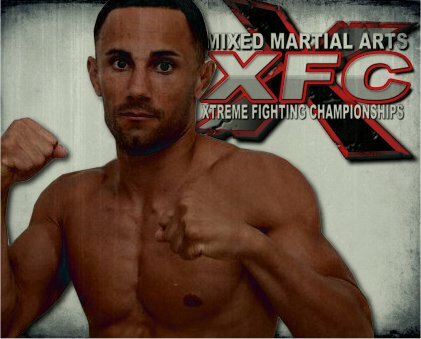 The XFC’s day started out a bit rocky yesterday when it was announced early that Mike Bronzoulis was no longer fighting in the main event against Corey Hill. Tonight is some good old fashioned man talk between Jack and Gary. 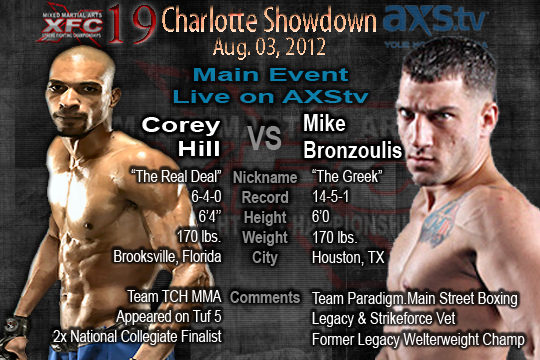 Plenty to discuss as XFC 19 goes down in Charlotte tomorrow night! Corey Hill out of the main event last minute after several opponent changes. We will have a rundown of the entire card. UFC on FOX 4 is live and free Saturday night. We have Dan “The Wolfman” and Andrew Dominguez on the coverage and on the scene in L.A.. We will give you our pick on what the good and bad will be in L.A.
My recent signing with the XFC left me inspired to start writing again. Actually, I wanted to do a video blog but I can’t seem to find my camera. This is what happens when you get hit in the head all the time. XFC 19 has some match ups that I’m particularly excited about watching and here are my thoughts on how things might go down on Friday night in North Carolina. The XFC promotion will be invading Charlotte, North Carolina, on Friday, August 3rd, at the historic Grady Cole Center venue which was home to UFC 3. The event originally scheduled to be headlined by a welterweight fight between Corey Hill (6-4) and Jason South, but South withdrew from the bout due to personal reasons and was replaced by Mike Bronzoulis (14-5-1). Pro MMA Now Radio returns tonight with XFC welterweight Corey “The Real Deal’ Hill. Hill is fresh off signing his exclusive contract with Xtreme Fighting Championships and will take on an undefeated Jason South (8-0) next month at XFC 19. We will also talk with ProMMAnow.com reporter Joe Gugelman who is on the scene in Las Vegas for UFC 148 and UFC International Fight Week. Joe will help us preview Saturday’s historic UFC fight card. Coming off a highly successful show in Nashville, Tenn., Xtreme Fighting Championships will take their traveling band of warriors to the Grady Cole Center in Charlotte, N.C., for “XFC 19: Charlotte Showdown” on Aug. 3. 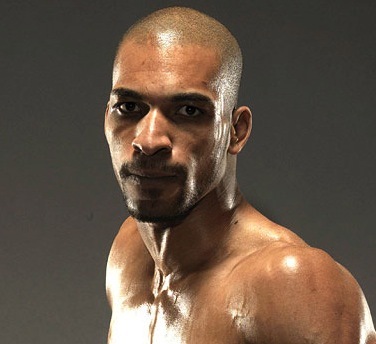 XFC 19 will be headlined with a welterweight match-up between The Ultimate Fighter season 5 veteran Corey “The Real Deal” Hill (5-4), of Brookfield, Fla., and undefeated Jason “The Mover” South (8-0), of West Jordan, Utah.